Popular opinion wants us to believe a Frenchman won this year’s Sveriges Riksbank Prize in Economic Sciences. 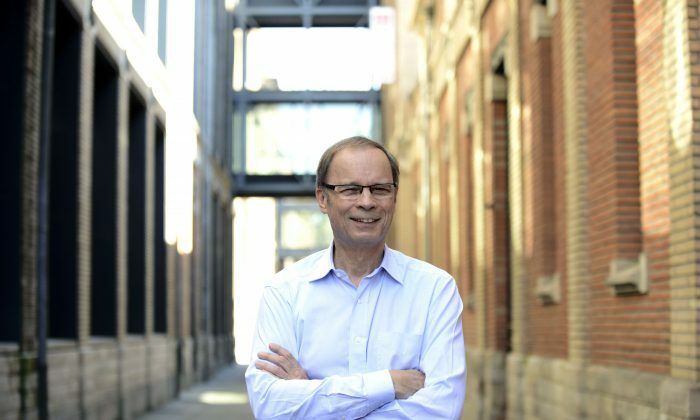 Of course, Jean Tirole was born in France and spent most of his life there. However, it was during his time at the Massachusetts Institute of Technology that he developed the core of his ideas on industrial organization and regulation, the very work he was honored for this year. So the United States has reason to celebrate, despite not winning outright. Furthermore, Tirole seems to be a smart economist, a contradiction in terms, some readers may say. But there is a small number of researchers who understand the world needs flexible approaches to dealing with the myriad of problems which entail the efficient allocation of resources, and Tirole seems to be one of them. Despite being deemed a neoclassical economist, his ideas dealing with the interplay of government and industry are remarkably refreshing. After Steve Keen’s seminal book “Debunking Economics,” nobody should believe the idea of a perfect market any longer, and it seems neither does Tirole. Instead, he advocates for competition and de-monopolization of some industries like telecom and air travel but for the regulation of others, such as banking. For economics, this is the right way to go. The world is not perfect and there are different solutions for different problems, not a one-size-fits-all solution as we find in most neoclassical textbooks. Especially the consumer of Europe will thank him for his work, because thanks to his ideas they pay a much lower price for their cellphone and cable contracts than do Americans, where regulated oligopolies control these markets. When it comes to banking, however, Tirole is a staunch opponent of the “too big to fail” principle. He told Bloomberg news Monday: “If banks are bailed out, they should also be regulated.” He also said banks should be prohibited from “gambling” with depositor funds. In his early work “The Prudential Regulation of Banks,” which was published in 1994 and after the savings and loans crisis, he outlined a way to align management’s incentives with regulatory incentives. Since management should answer to the stakeholders of the bank—shareholders and depositors—Tirole recommended that regulators should act like the owners of the bank, looking out for prudent capital ratios before a crisis and intervening during a crisis. He argued that dispersed equity holders and depositors could not perform this function well because of the high costs of association. In a more recent paper on the banking crisis in the eurozone, Tirole advocated the forced downsizing of a bank’s balance sheets and limiting managerial discretion in case of a bailout. None of these proposals were implemented in the course of the Troubled Asset Relief Program of 2008. As a mainstream economist, Tirole doesn’t go deeper than working with the existing framework of fractional reserve banking. Within this framework, he has got some very good points and demonstrates remarkable flexibility without losing credibility. If he were to go deeper and show the current banking system is flawed by design, he would not be a mainstream economist—and wouldn’t have won this prize.